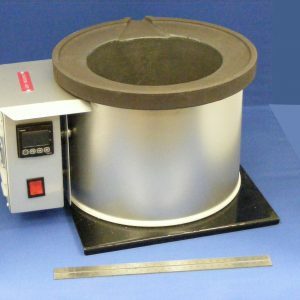 The SEBA range of bench top metal melters have been designed for the industrial, sporting and hobbyist melting of tin, lead, zinc, solder etc. Temperatures up to 550 deg C with a fully adjustable digital controller. Standard voltage 220/240 with alternatives available. Pots in cast iron with aluminium or steel case and mild steel safety base plate. Melters are supplied complete with switch, indicator lamp, 2m mains cable and fused plug.